Many a times a person is under the period (Maha Dasha) of a favourable planet and putting lots of efforts but to ones utter disappointment one is not able to get desired results in all the undertakings rather there are obstacles and failures in every sphere and undertakings. A time comes when ones starts feeling that the fate is being obstructed and infect. There is obstruction which is being caused by a planet who is lord of Badhakasthan. I am hesitatingly going to write here that most of well known astrologers falter here since the implication of a Badhaka planet is very difficult to understand due to non-availability of literature on Badhkasthan and Badhkesh. Most of the classics simply tell about the Badhaka planet but that too in limitations. But the experience shows that a Badhaka planet is more harmful as compared to a debilitated planet. A debilitated planet gets its debilitation cancelled under certain norms as mentioned in classics. A lord of a trik Bhava is not as dangerous as a Badhaka planet is. A Badhaka planet is decided on the basis of sign falling in the ascendant. Badhaka for Each Ascendant 1. For a Moveable (Char sign rising in ascendant 11th house is termed, as Badhakasthan and lord of sign falling in the 11th house is a Badhaka planet. 2. For a Fixed (sthir) sign rising in ascendant 9th house is termed, as Badhakasthan and lord of sign falling in the 11th house is a Badhaka planet. 3. 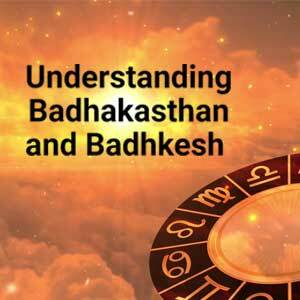 For a Dual (Dawisawbhav) sign rising in ascendant 7th house is termed as Badhkasthan and lord of sign falling in the 7th house is a Badhaka planet. Tabulation of Badhkasthan and Badhaka Planet Sign in Badhk Sign falling Badhksthan Asc. sthan	in Badhkesh 1. Aries	11th Aquarius Saturn 2. Taurus	9th	Capricorn	Saturn 3. Gemini	7th	Sagittarius	Jupiter 4. Cancer	11th	Taurus	Venus 5. Leo	9th	Aries	Mars 6. Virgo	7th	Pisces	Jupiter 7. Libra	11th	Leo	Sun 8. Scorpio	9th	Cancer	Moon 9. Sagittarius	7th	Gemeni	Mercury 10. Capricorn	11th	Scorpio	Mars 11. Aquarius	9th	Libra	Venus 12. Pisces	7th	Virgo	Mercury Note : If one notices the scheme of Badhaka planets one will find Sun and the Moon do not escape th ewrath of being Badhaka planet where as the most of texts exempt the lordship of Luminaries over trik bhavas. To make the things more clear it will be better to draw charts for each ascendant so that one can under stand the concept of Badhaka. 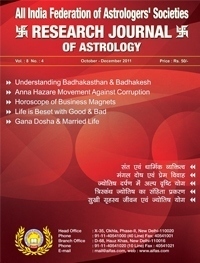 Some of the eminent astrologrs have written their findings about Badhakas and complications created by the Badhaka planets.A very prominent astrologer of yesteryears was very much critical about the Badhaka planets. 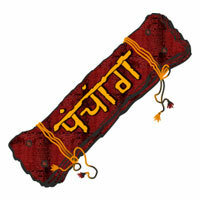 He was ready to compromise with debilitated planets,combust planets and with the lords of trik bahvas.While treating a debilitated planet he reconclied with cancellation of debilitation,while dealing with the lords of trik bhavas he opined that the planet looses some its vitality since the second sign must be falling in a good bhava and the same way he opined with cobust planets(with due respect to the Sages who laid down some rules and norms about the cancellation of debilitation of planets but when applied in a practical way one will find these rules and norms have their limitaions so is the case with combust planets. The auther of “Prasna Marga” had different approach about Badhakas. He allocated some fixed houses as the houses of harm or Badhkasthans and lords of the signs falling in these fixed houses termed as Badhaka plants. His views are tabulated below: 1. For All Moveable Signs……Aquarius is Badhkasthan…….Saturn is Badhaka. 2. For Leo/Virgo/Scorpio/Sagttarius… Scorpio.. do……………Mars is Badhaka. 3. For Capricorn………………..Taurus is Badhkasthan………..Venus is Badhaka. 4. For Gemini/Pisces………..Sagittarius is Badhaksthan….Jupiter is Badhaka. In this context one thing is discriminating and that is the author has exempted the Sun,the Moon and Mercury from being Badhaka lords,thus this findings of the author falters under so many reasons. Under the circustances one should adhere to first tabulated scheme of Badhkasthans and Badhaka Planets only. Now a big question arises here that the houses which have been marked as Badhkasthans are all very important houses when studied under the light of the characterstics and portfolios alloted to these houses. While to going into much detail the most important portfolio will be dealt with: 1. In case the11th house becomes a Badhkasthan one will suffer on account of gains during the period of the lord of sign falling in this house being a Badhaka lord. 2. In case 9th house becomes a Badhkasthan one will suffer on account of good fortune during period of the lord of sign falling in this house being a Badhaka lord. 3. In case the 7th house becomes a Badhkasthan one will be bereft of marital bliss during the period of the lord of sign falling in this house being a Badhaka Lord. But in real practice it has not been found. If this is the case then what about Badhkasthan and Badhaka lord? Answer to this question is that the Badhaka planet gives bad to worst results under some rules and when these rules are applicable to the Badhaka lord in that case one will not get any respite in one’s undertakings with putting extra efforts. The author of “Jatka Parijat” Volume2 and Sloka no.48 mentioned that a Badhaka planet is complete Badhaka only when it is associated with a “Kharesh” ie. Lord of Khara sign. Author has gone to te extent that in case two or more than two Khara planets influence the Badhaka lord by association or aspect the major period or the sub period of this Badhaka planet may prove fatal even. 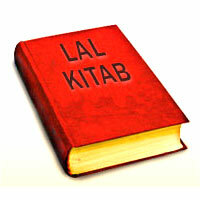 KHARESH DEFINED: 1. As per the author the lord of 22nd Drekkana and lord of 64th Navmamsha is known as Khara planets (Most of the authors suggest to reckon 22nd Drekkana and 64th Navmamsha from the natal Moon only but many a times 64th Navmamsha from the natal ascendant play a major role) 2. A Badhaka planet associated with or aspected by Gulika becomes a prominent fatal. 3. A Badhaka planet under the aspect of or associated with the lord of 22nd Star(Nakshatra) from one’s natlal Star(Here Star abhijit should be included). This 22nd Star(Nakshtra) is known as “Vainashishik Nakshtra”. 4. A Badhaka planet associated with or aspected by the lord 88th Navamamsha is also harmful since 22nd Nakshtra(Vainashik Nakshtra) falls in this Navamamsha. 5. A Badhaka planet associated with or aspected by Rahu is equally fatal. In this context Rahu is more dangrous to prduce evil as compared to Ketu. AREA OF HARM: This is a generlised study which gives appeciable results but even then it requires a lot of research so as to make it a rule. A Badhaka planet invriably harms the house it is placed in(in rules of becoming a Badhaka are met with) or a house it aspects or the house in which a Badhaka is placed and this house falling from a specific house under consideration when counted in a Zodiacal order, to be more more clear in a Badhaka planet is placed in the ascendant, it will give a bad constitution to the native..Same way if a Badhaka planet is placed in the 8th house it will give obstacles and loses in one’s profession during its period or sub period, a Badhka planet in 7th house when counted from ascendant will deprive one of marital bliss and so on…. Now the question arises that one person is born with Saturn as Badhaka, another with the Sun, another with Jupiter and so on with all the seven planets (Here Rahu and Ketu are not included since they do not have ruling on any sign and secondaly they are known as shadowy planets(Chhaya Greh). 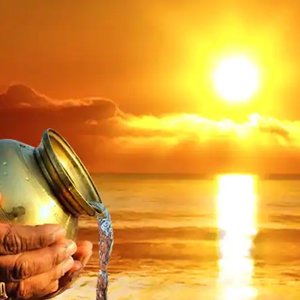 Answer to this lies in karma theory and it is due to one’s past life’s karma one is born with a specific planet as a Badhaka planet….What type of bad karmas one has done in his past life so that one is born with that very planet as a Badhaka.